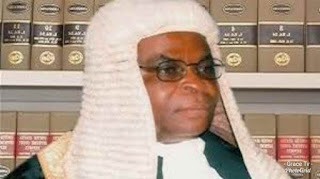 An official of Standard Chartered Bank, Ifeoma Okeagbue, on Thursday gave details of the balances on the five different accounts of the suspended Chief Justice of Nigeria, Walter Onnoghen, to the Code of Conduct Tribunal. Punch reports that Okeagbue, who is Team Leader, Priority Banking, as well as Onnoghen’s Relationship Manager at the branch of the bank in Wuse II, Abuja, said all the bank accounts were still active. Led in evidence by the prosecuting counsel, Aliyu Umar (SAN), Okeagbue said the euro and the pounds accounts were savings, the dollar account was current, while the two other accounts were in naira denominations, with one being savings account and the other current.